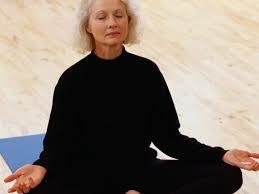 Yoga can help older women who fight frequent bouts of urinary incontinence, new research suggests. “In spite of their age, the frequency of their incontinence and their lack of experience with yoga, these women were able to learn to practice yoga effectively through a three-month yoga program that involved twice weekly group classes with six to 10 other incontinent women,” said study author Dr. Alison Huang. “And by the end of the program, women in the yoga group reported more than a 75 percent decrease in the frequency of their incontinence, a pretty dramatic change,” she added. Huang is urology co-director of the resident research training program at the University of California, San Francisco’s Clinical and Translational Science Institute. Huang added that yoga techniques incorporating deep breathing and mindful relaxation can also improve women’s anxiety, perceived stress and nervous system balance — factors that may contribute to an overactive bladder and urgent need to urinate. “Although we believe that the study yoga program has unique benefits for women with incontinence that go above and beyond what we might expect to see with other physical activity-based interventions, it’s probably also beneficial for older women with incontinence to take part in other activities that improve their overall muscle strength and conditioning,” Huang said.